Last week, our co-founder Christian Weber, Jon Kielty from Big aLICe Brewing, and Melanie Fronhofer from Fronhofer Design sat down with Jimmy Carbone of Beer Sessions Radio on the Heritage Radio Network. Christian, Jon, and Melanie spoke with Jimmy about the Big Alice-Common Roots collab beer – Kindred Roots, brewing on the three-barrel system that survived the fire, and the benefits of working with a small, local design company. Two weeks later… and two blocks away. We want to thank South Glens Falls Mayor Harry Gutheil, Joe Patricke, and everyone at the Village of South Glens Falls and Village Planning Board for helping expedite this process. Thank you also to Ms. Elizabeth Miller and her team at Miller Mechanical for working with us to lease the temporary space. It was, in retrospect, an odd little gesture but it always made me feel good to appreciate the remarkable space that it was. Even when the building was being renovated and we were still working to give it a new life, it seemed like a special place. We would work all day (and night sometimes), laughing, cursing and listening to music. Ultimately at some point, it became that time to turn off the lights and say good night. There is a very stark transition when walking from the brewery into the taproom. A few hours earlier, the brewery was a place of organized chaos…humid, warm, loud and full of action. Our taproom, by contrast, during the day is quiet and waiting for life to come back to it… until the evening arrives and guests start trickling in. Last Monday, the taproom had a nice gathering of regular customers and some new people; there was laughter and music, stories and beer. All seemed good when I left for home for the evening. As it turns out, it wasn’t everything. In the days since the fire, we have witnessed an unbelievable outpouring of love and support. A community, beyond our wildest imagination, has embraced us and is showering us with love, support, and hope! One of our founding principles as a business was to “create and be part of a community.” Never in our dreams did we realize the extent to which that is now true. What we have collectively created in this special placed called, Common Roots, is difficult to describe. As Adam Evans described in his beautiful editorial, “the place has a certain divinity.” To me, this is the highest praise. We all know when we are in a special place because you just feel it. Our brewery was that sort of place. It felt right because the community built it, literally. The love, passion and hard work of so many people cannot be consumed by fire or any other disaster. It is still there and will rise again. I have spent every day since the fire at the brewery looking for answers and hoping to find some important document or treasured memento. I have found them all. Some more relevant than other… but enough to help me think more about our future. I am confident we can re-create this special place called Common Roots Brewing Company again. Yesterday, I stood there in the silent charred remains of the brewery and heard that distinctive “bubbling sound” of fermentation. The brewery was still working in its own way and, I thought, signaling to us that we’ll get through this. Good night, Brewery… thank you. 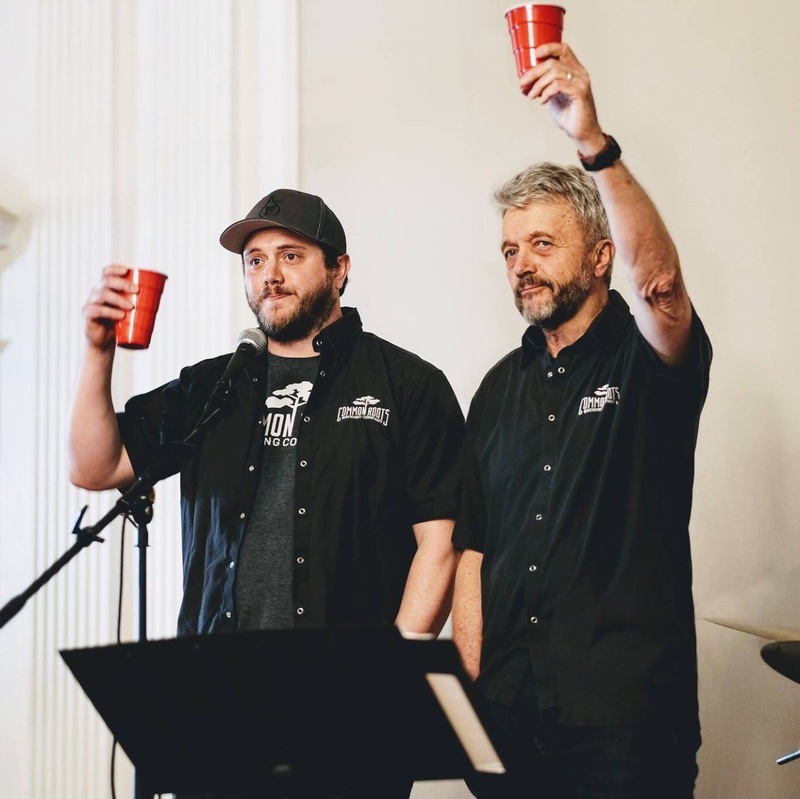 To receive future messages like this from Bert and Christian, and to stay up to date on reconstruction updates and events to support these efforts, sign up for the Common Roots Brewing Company newsletter.